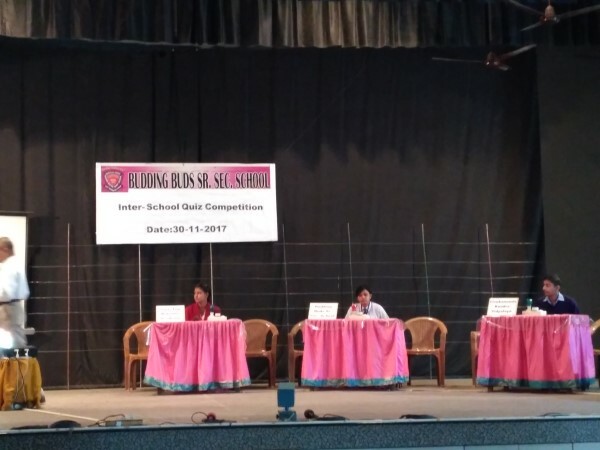 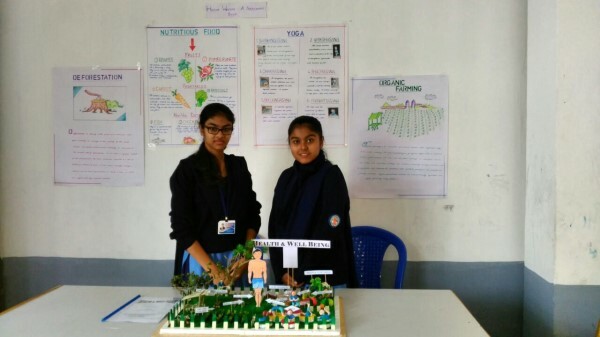 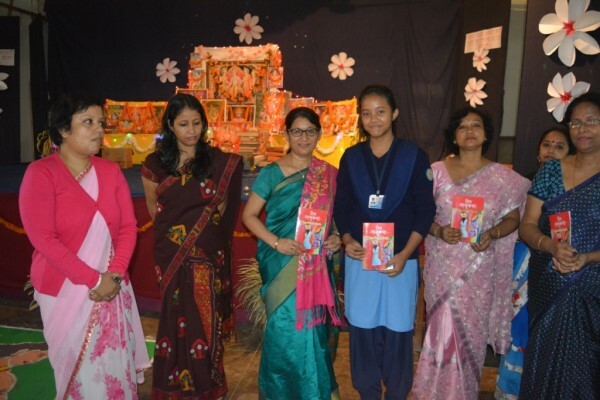 Kumari AsthaNandini Borgohain, Class VII, proclaimed her first literary work of Translating some famous English stories into Assamese, and made the School fraternity proud. 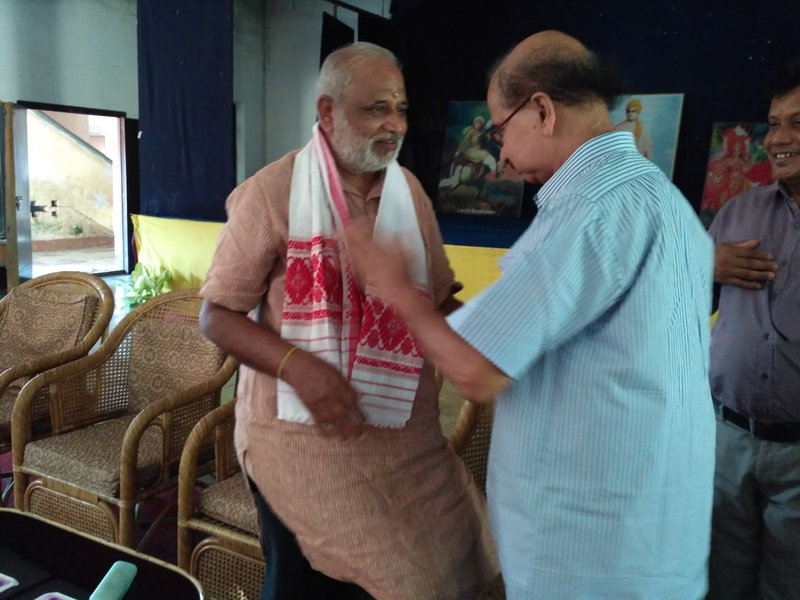 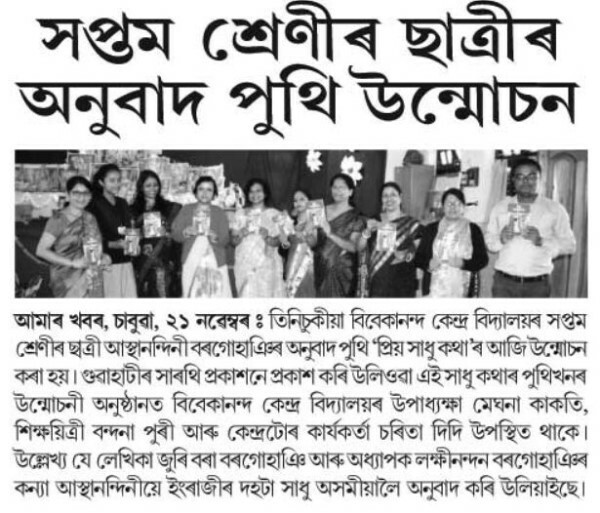 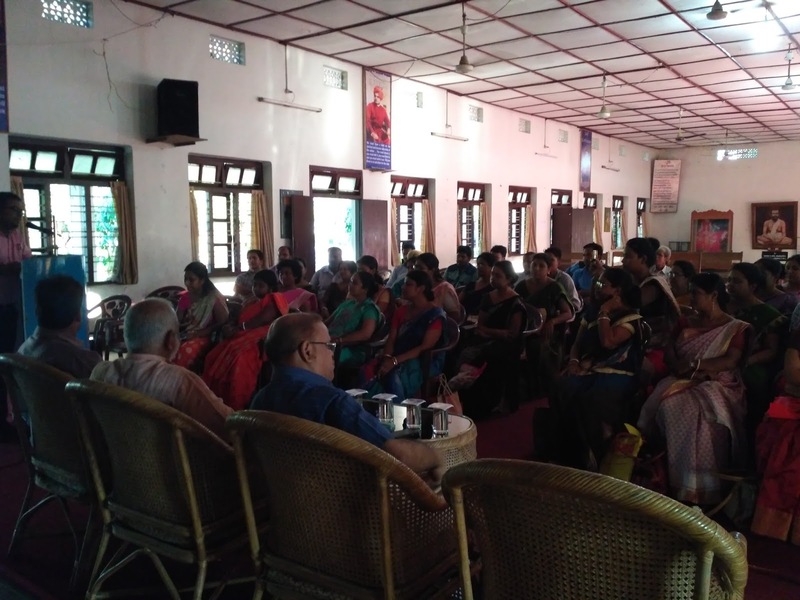 The book titled 'Priyo Sadhukatha' is published by Sarathi Prakashon, Guwahati where 10 English Stories are translated by Asthanandini. 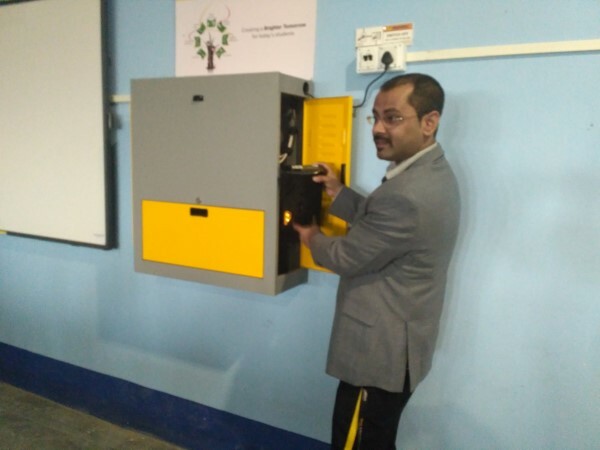 It was released by The Vice Principal Meghna Kakaoti, in presence of Vandana Puri, Primary in-charge and Su. 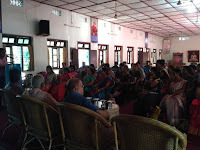 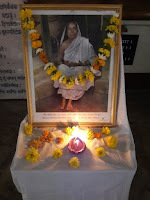 Sarita Didi, Life Worker, Vivekananda Kendra. 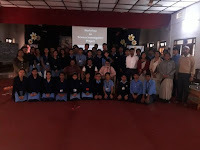 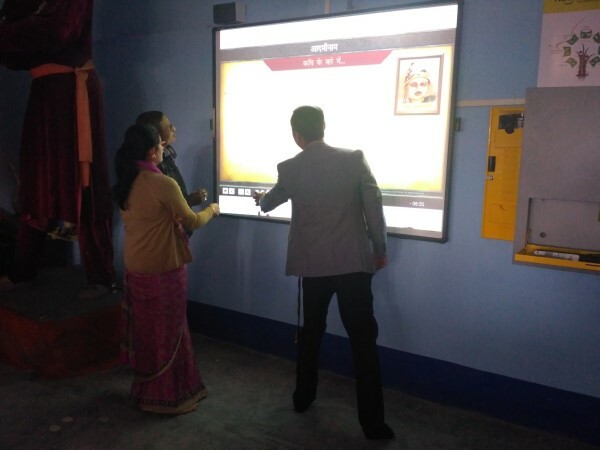 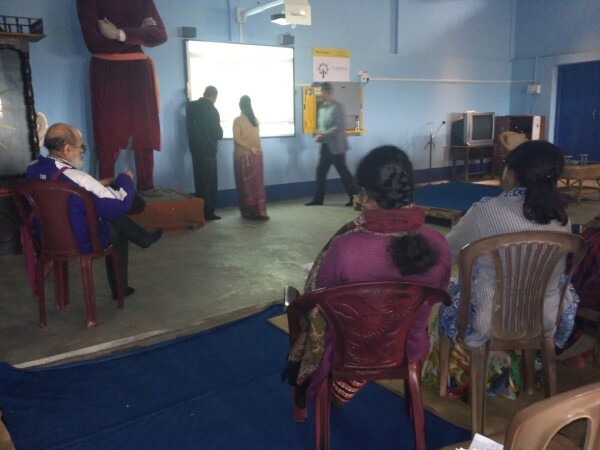 Asthanandini spoke to the students in a thanks giving manner, where her father Prof. Lakhi Nandan Bargohain told to our students that Astha does not sit much for TV viewing, thus managed time for such creative work. 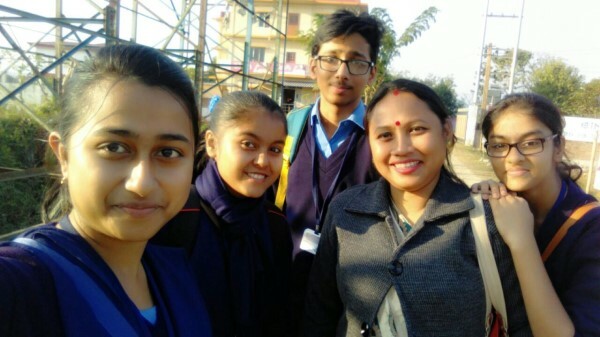 All teachers felt joyous and congratulated her for her success. 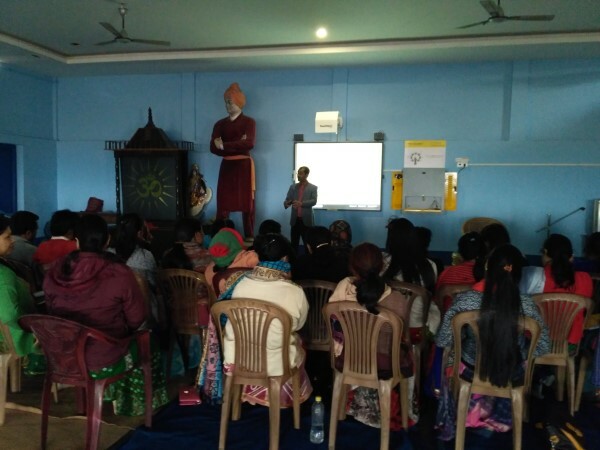 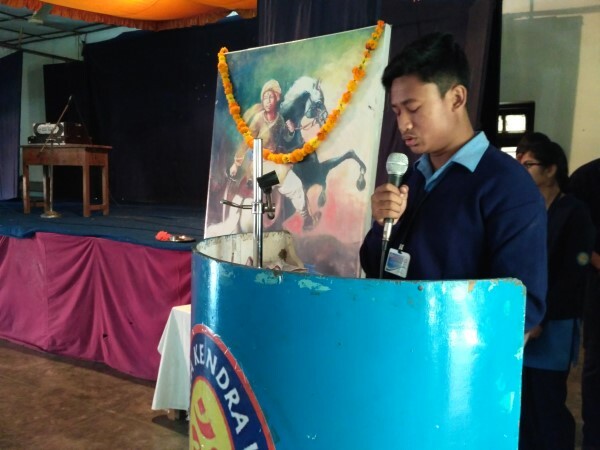 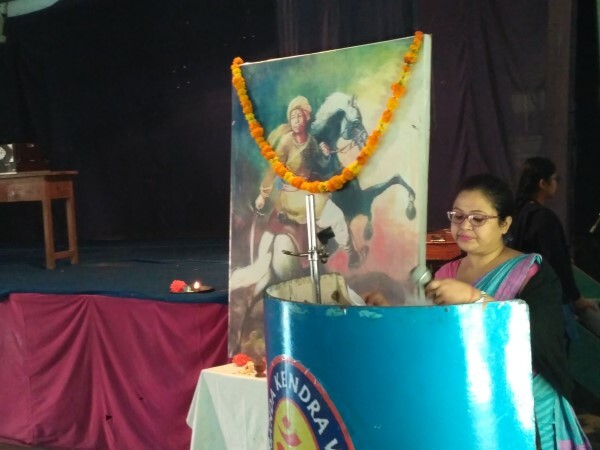 Vidyalaya observed the birth anniversary of Lachit Barphukan, the Commander-in-Chief of Ahom Army, who set forth the example of bravery, service, sacrifice and patriotism. 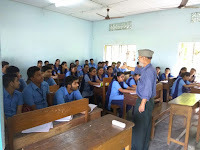 National Defense Academy has also conferred to the best passing out cadet of National Defence Academy, the Lachit Borphukan gold medal Award. In the Morning Assembly on 24 November, the Lachit Divas is observed with speech on Lachit by Teacher and students followed by a song on Lachit by Kr. 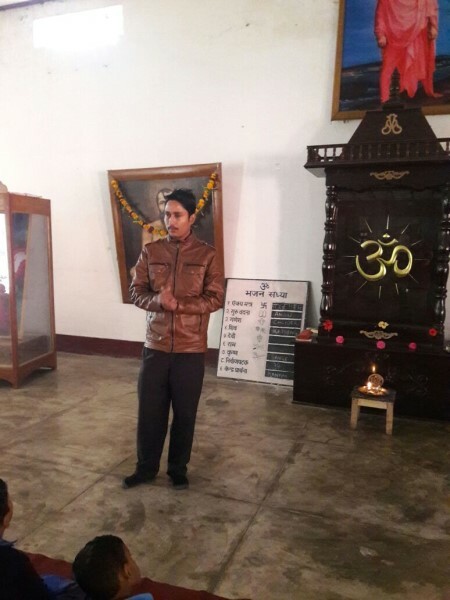 Iman. 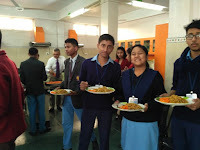 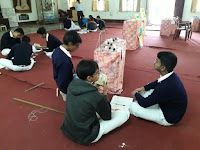 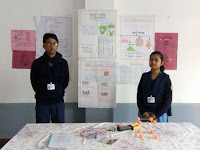 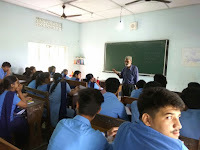 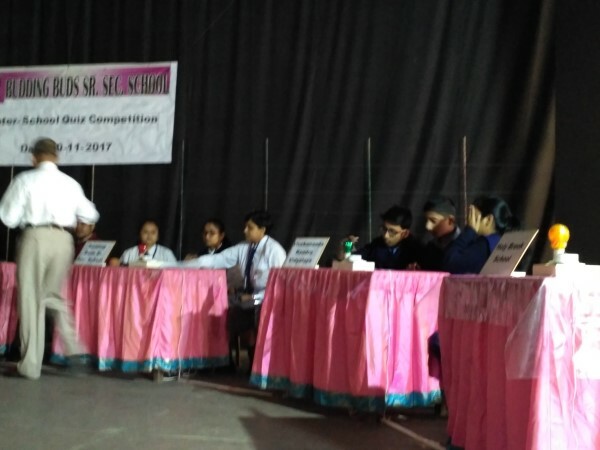 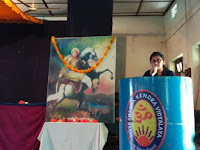 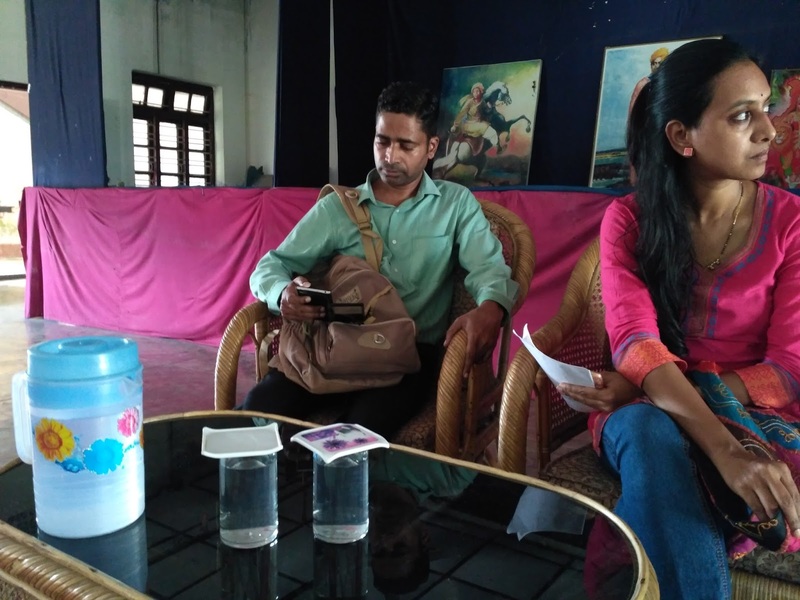 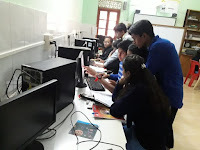 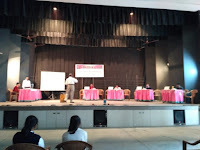 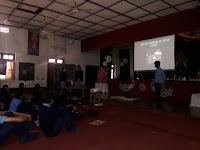 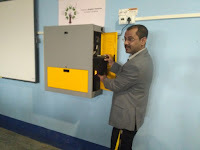 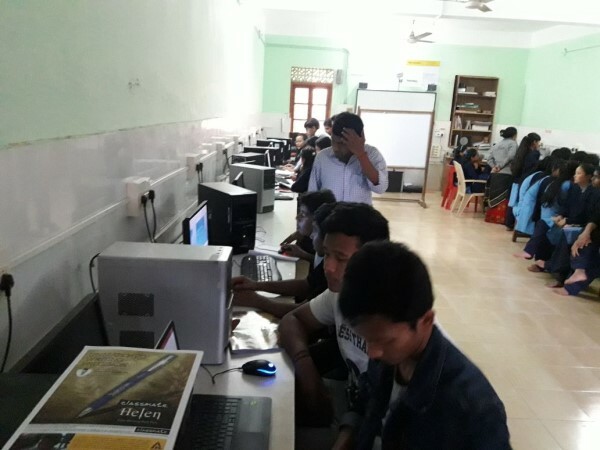 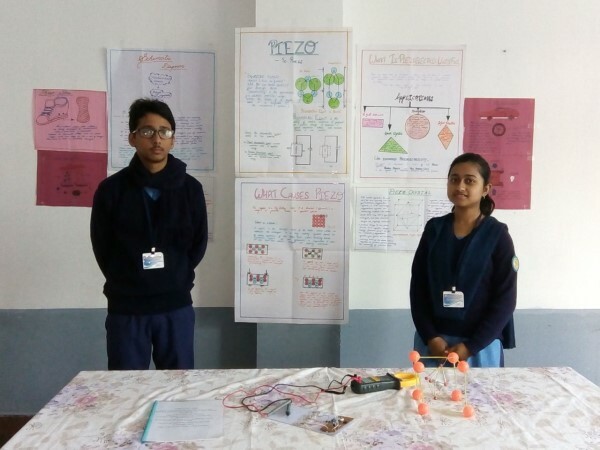 Quiz and extempore speech was also organised in this connection. Vivekananda Kendra observes 19 November as SadhanaDivas, the birthday of its founder Mananeeya EknathJi Ranade. 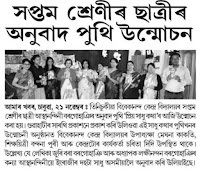 With all other Branch Centres and H.Q. 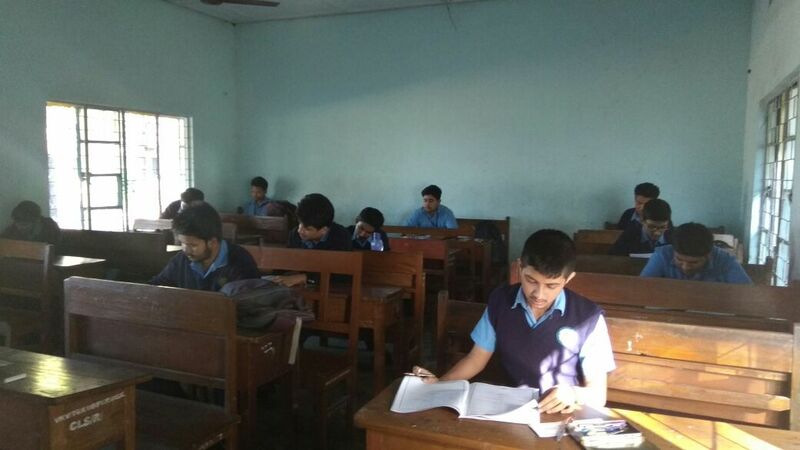 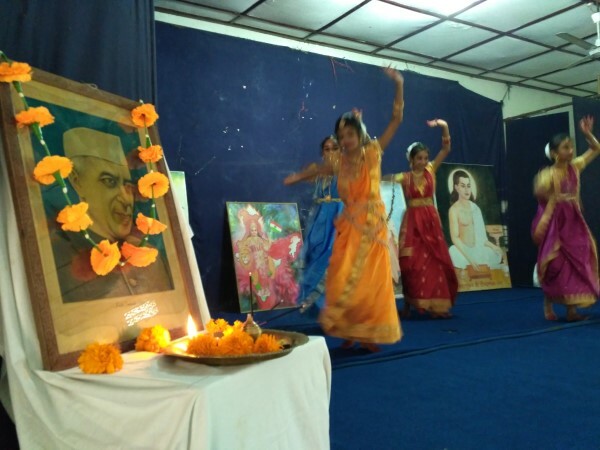 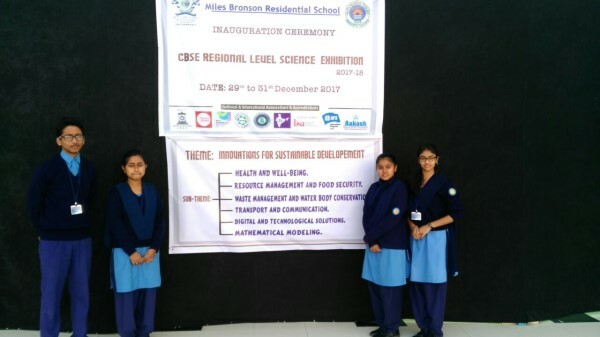 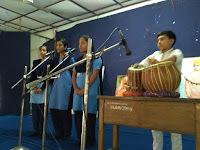 our Vidyalaya also observed this day with full vigour and enthusiasm. 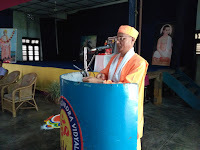 This Vidyalaya was started by EknathJi himself after purchasing this land here in Laipuli. 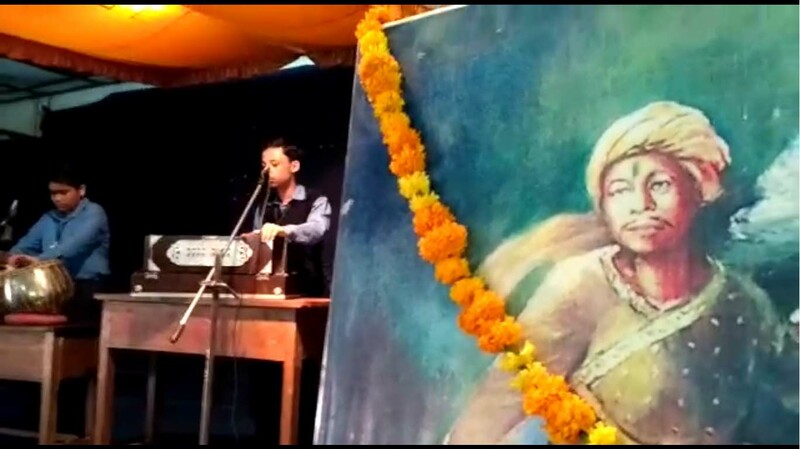 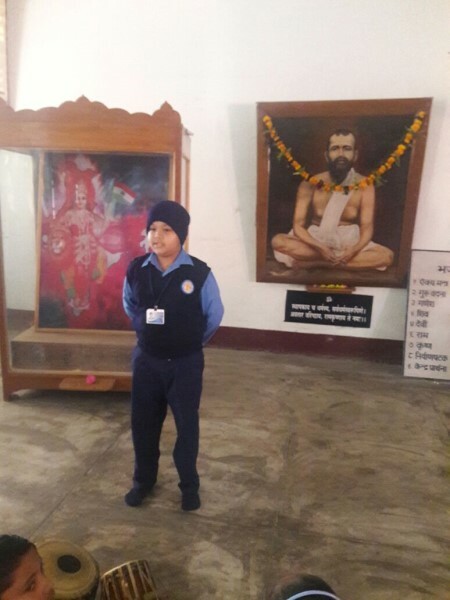 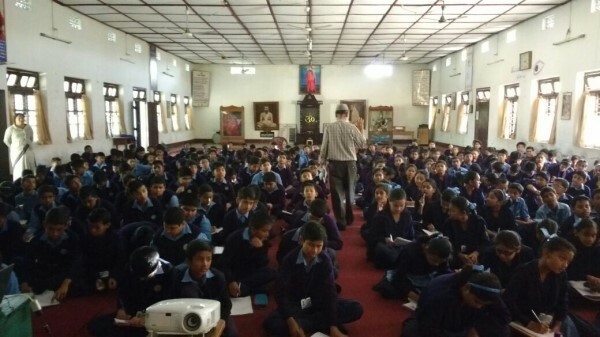 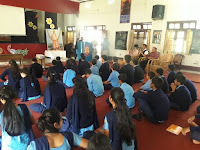 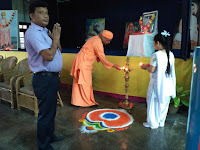 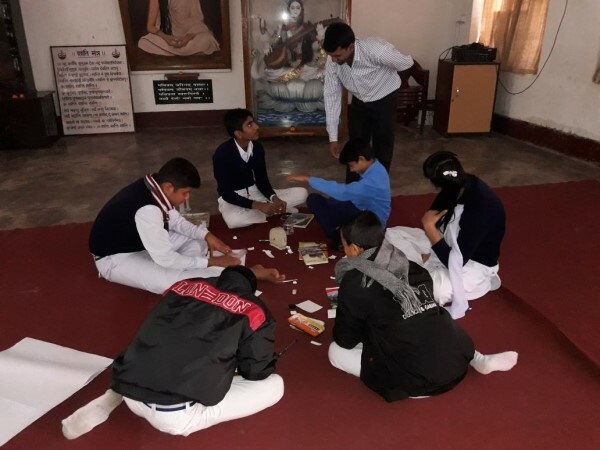 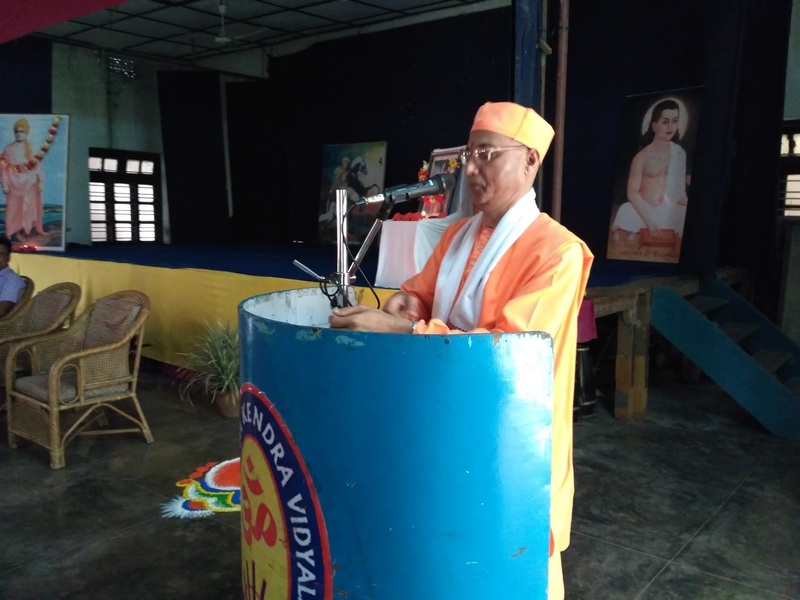 So the traditional Unique programme of Akhand Ram Charit Manas Path is as usual performed by the students, Parents and teachers in the Vidyalaya, which started on 18 November morning and continued for the next 24 hours, till next day morning. 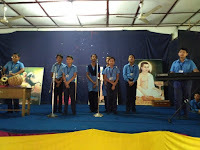 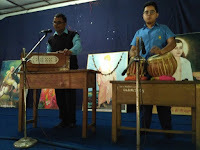 On 19 November Bhajan Session, speech, songs were performed by the students and teachers in front of parents and VMC members. A total of 2600 people turned up for the community lunch (khichdi Prasad), that was kept from 1 pm to 3:30 pm, including students and staffs of the Vidyalaya. 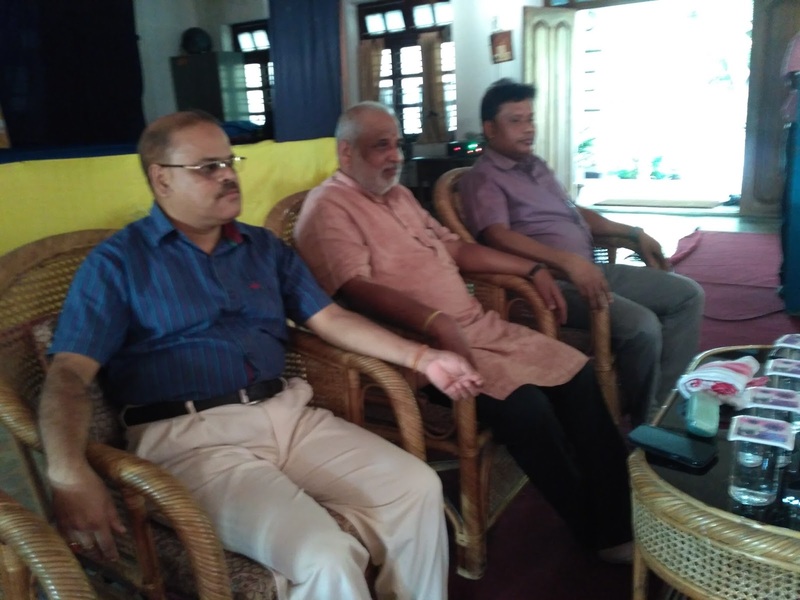 On this auspicious occasion, Sri Suvan Sett, Education coordinator VKSPV, Sri KamalakantJi, RAO and Sri Digesh Nath, RAO of VKSPV were also present among us. 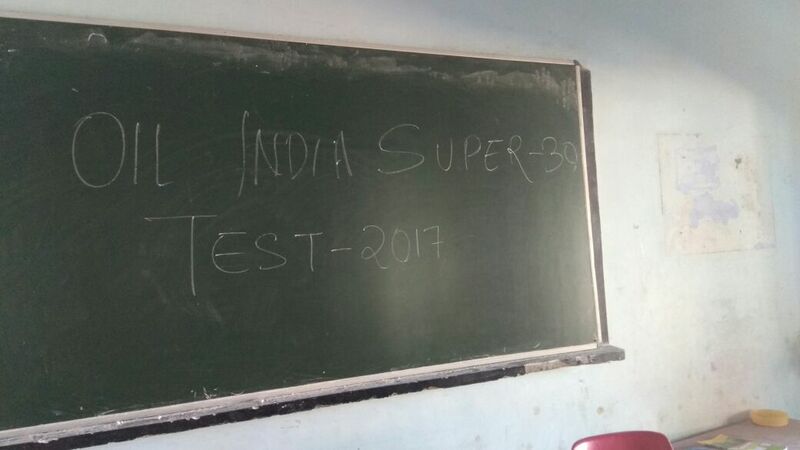 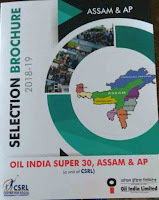 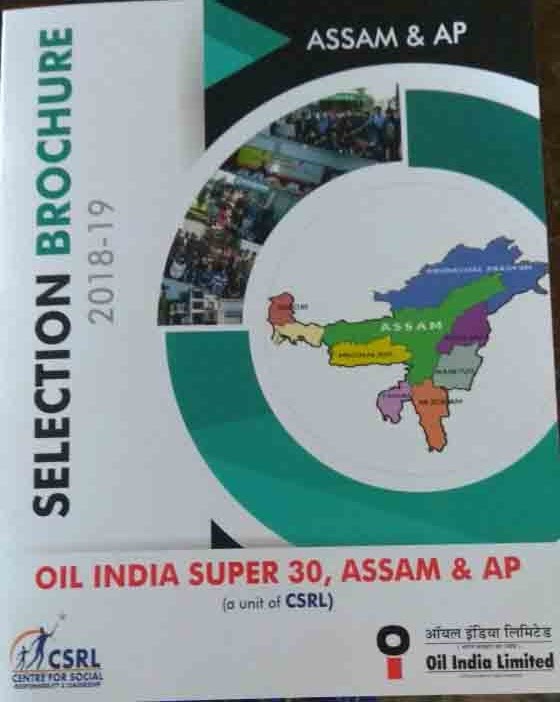 OIL India - Super 30: Students from Science Stream excitedly appeared a Screening Test conducted by OIL India Ltd for the selection to the Super- 30 Study Programme, on 24 May 2017. The Vidyalaya observed Children's Day on 14 November 2017, in the Yoga Hall with a series of attractive programme. 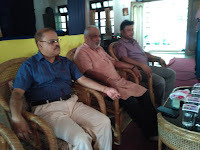 Nature Activist Binod Gogoi visited and talked with the children in the morning aasembly. 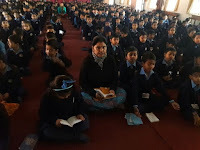 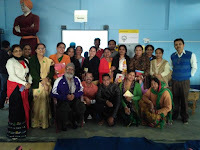 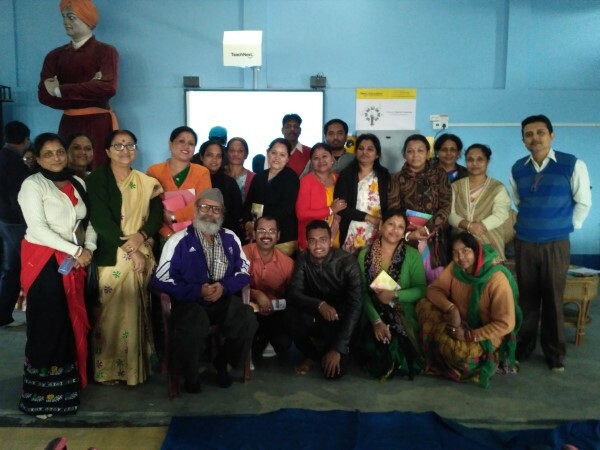 Teacher Ranjit Muktiar spoke about the responsibilities of the children in present time. 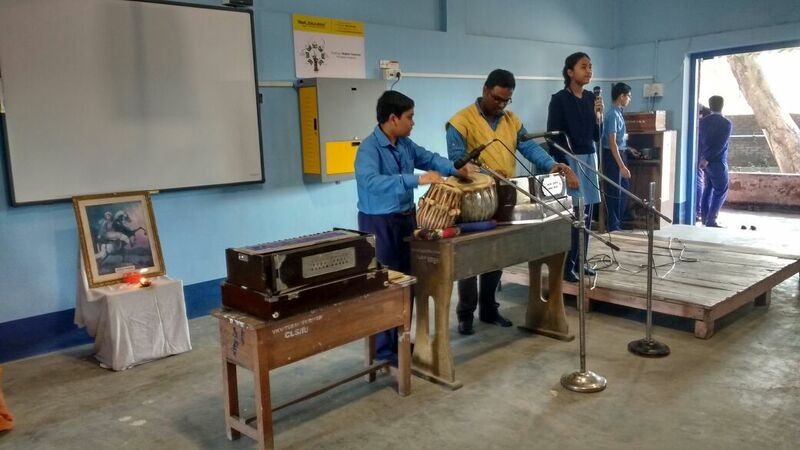 Song, Dance and Sweet distribution was the prime attraction of the day.